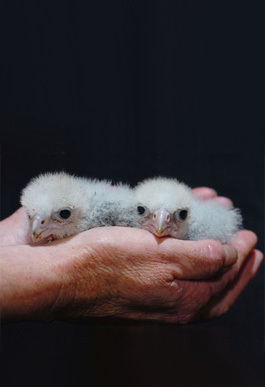 Awarded for outstanding efforts in NZ Raptor conservation. 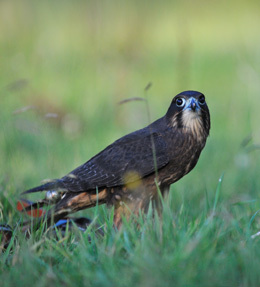 The Wingspan Raptor Award was established in 2006 to recognise individuals, groups, and/or organisations for outstanding efforts and contributions towards New Zealand birds of prey. Nominations for this award are considered under three categories; Education, Advocacy and Conservation. Nominations that meet one or more of the objectives set out in the Wingspan Strategic Plan will be given priority. The recipient of the Wingspan Raptor Award is presented with a cheque for $1,000. They also receive a framed certificate and their name engraved onto an original solid bronze trophy of a New Zealand falcon (made and designed by New Zealand artist Mike Norris). Nominations close in July every year. 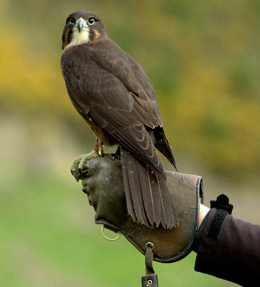 The award trophy remains the property of Wingspan Birds of Prey Trust and is to be returned to the Wingspan National Bird of Prey Centre by the 30th July each year. As judges, the decision of the Wingspan Board of Trustees is final.